CENTRAL — Your oral cavity (gums, teeth, tongue) is often the first place clinical signs and symptoms of systemic diseases appear. Diabetes, cardiovascular disease, HIV, Sjogren’s syndrome, and vitamin deficiencies are just a few known problems that can appear in the mouth. 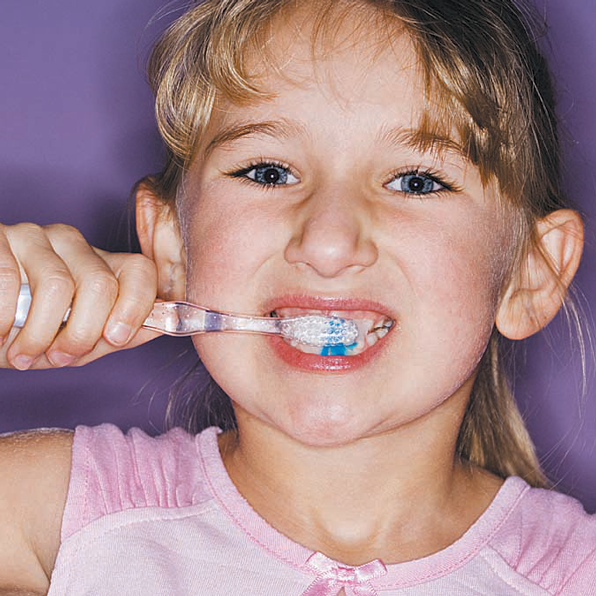 Also, tongue lesions; red, swollen gums; loose teeth; persistent bad breath; burning mouth to name a few. Furthermore, the mouth is a reservoir for a multitude of bacteria, especially those causing tooth decay and periodontal gum disease. Recent advanced research has shown a significant link between peritonitis, advanced form of gum disease associated with tooth loss, and diseases such as diabetes and cardiovascular disease. Even healthy pregnant women with untreated peritonitis are at risk of delivering pre-term or low-birth weight infants. Researchers are continuously looking for more answers. However, currently they suspect bacteria and the resulting inflammation from untreated peritonitis play a significant role in systemic diseases. In addition, some general problems, e.g., diabetes, blood cell disorders, and HIV lower the body’s resistance to infection, thereby making gum diseases more virulent and/or changing the oral cavity to make it more prone to cavities. Diabetes. The relationship of diabetes and peritonitis is one of the strongest links in this mouth-body health chain. Inflammation from gum disease appears to weaken the body’s ability to control blood sugar. People with diabetes have trouble processing sugar due to a problem with insulin, the hormone responsible for converting sugar to energy. Periodontal disease worsens diabetes by interfering with the body’s ability to utilize insulin and uncontrolled diabetes provides ideal growing conditions for the bacteria that cause periodontal disease. Fortunately, managing one disease can help gain control over the other. Cardiovascular Disease. For reasons not clearly understood, “up to 91 percent of patients with heart disease have gum disease, compared to 66 percent of people with no heart disease.” However it is clear they share common risk factors — smoking, unhealthy diet, and excess weight. Nutritional deficiencies. Oral lesions; red, swollen tongue (glossitis); and burning mouth syndrome are all “oral conditions” that could be related to an underlying systemic condition as a result of nutritional deficiency. Vitamin C, B, and iron deficiencies are just a few of the common culprits that have been shown to produce oral complications. Daily oral hygiene. Creating good healthy habits at home is the first step to a healthier mouth and body. • Visit your dentist and dental hygienist. Only a professional cleaning by a dental professional can adequately remove tartar buildup along and under your gums and in between your teeth. Most patients will only need a visit every two months; however, if you have gum disease of any kind or you are experiencing systemic issues that put your body at a compromised state, you may need more frequent visits. Only you and your dental professional can decide that together. • Brush two times daily: disrupting the plaque build-up on teeth, removing food particles and applying fluoride are three benefits from routine brushing. • Add Oxyfresh® products to your repertoire: The use of Oxyfresh® products have become an integral part at Record Dental Center’s approach to improving gum health, reducing persistent bad breath and more. Oxyfresh® offers non-alcoholic, dye-free rinses and low abrasive toothpaste along with other great products. Visit www.oxyfresh.com to see their amazing products and come see us at Record Dental Center and discuss other options to improving your oral and overall health. In summary, keeping your mouth in the best shape it can be will not only make you smile bigger and brighter but it will be your gateway to better overall health. There are many more factors that are involved and only a visit with your dentist and physician will result in a more tailored approach for you. We are accepting new patients here at RDC and have new hours to meet your needs. Dr. Benjamin Record and Record Dental Center has just celebrated a wonderful year in Central. Dr. Record spent eight years in residency and faculty at LSU Hospitals in New Orleans and Baton Rouge integrating dentistry and clinical medicine and brings that expertise to you. Beginning in the spring of 2013, Record Dental Center will offer oral and IV sedation for those that want or need it.